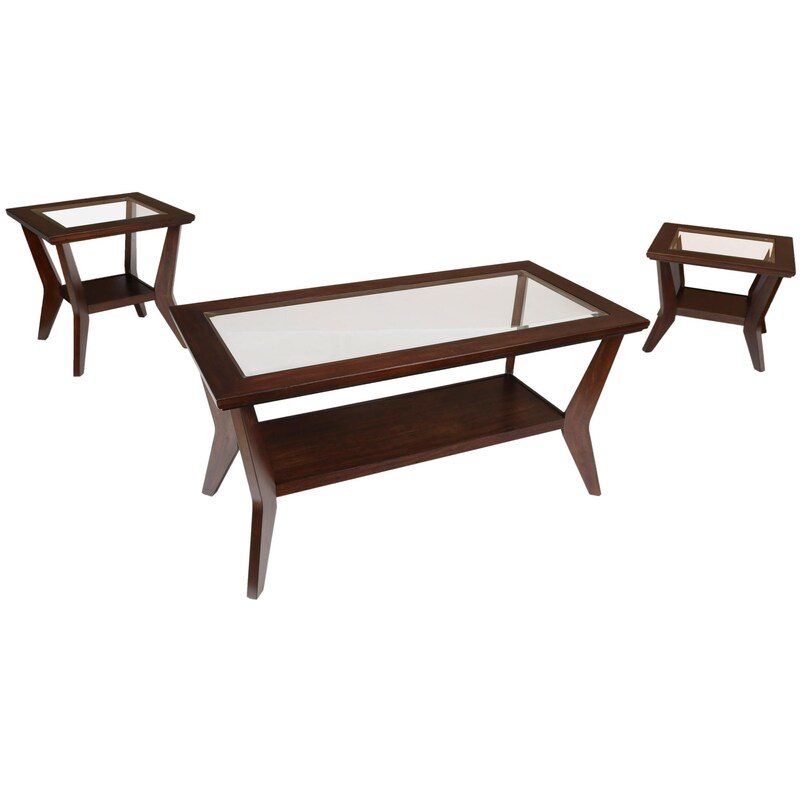 Glass tops and dramatic angled legs make each table in this three piece group a striking piece that will enrich the current look of your living room. The Bryant Cocktail Table and 2 End Tables Occasional Group by New Classic at Michael's Furniture Warehouse in the San Fernando & Los Angeles area. Product availability may vary. Contact us for the most current availability on this product.